On a nice sunny day, who wants to stay cooped up inside all day? These outdoor activities in Maryland are tons of fun and full of adventure. Check them out now! Maryland has many horseback riding trails that are lots of fun. To find all of these trails, check out this easy to use guide and read all about your different options. 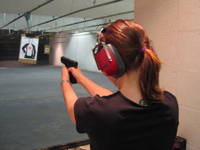 For both beginners and more advanced people, these Maryland shooting ranges allow you to safely fire a gun at some tough targets. Learn all about the ranges right here!